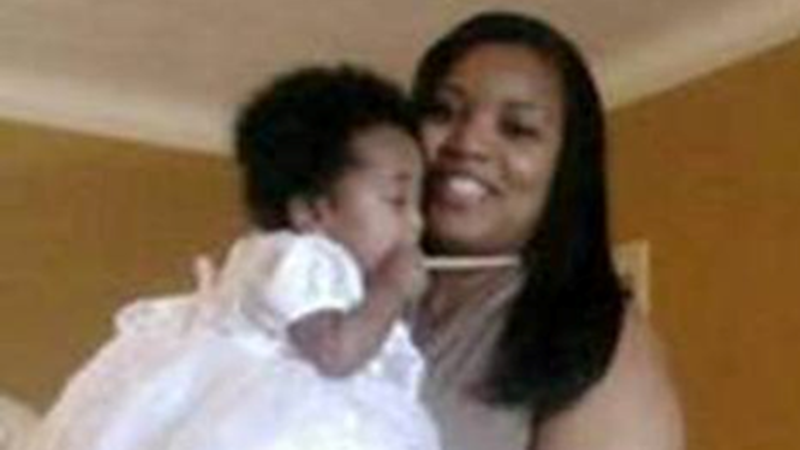 Miriam Carey, 34, was shot dead Thursday by Capitol Hill police after she tried to drive into a blocked entrance near the White House with a 1-year-old child in the car. Carey’s boyfriend contacted police in December saying he feared for the safety of their child, who was 4 months old at the time, according to a law enforcement source involved in the investigation. The boyfriend said Carey was acting delusional and suffering from postpartum depression. Authorities searching Carey’s home found discharge papers from a 2012 mental health evaluation listing medications to treat depression, schizophrenia and bipolar disorder, law enforcement source briefed on the investigation said Friday. Among the medications listed was Risperidone, which is used to treat schizophrenia and symptoms of bipolar disorder, and Escitalopram, an antidepressant, the source told CNN. The birth of a baby is supposed to bring parents joy, but some moms experience darker emotions following childbirth. While most women experience a form of the “baby blues” after delivery, between 9 and 16% of mothers suffer from a more severe, long-lasting form of depression called postpartum depression, according to the American Psychological Association. A mental illness known as postpartum psychosis can also develop after childbirth, but it happens rarely, according to the Mayo Clinic. It’s unclear if Carey was ever officially diagnosed with these or other mental health conditions. It’s normal for new mothers to feel overwhelmed and tired, but sometimes those feelings can develop into something more serious. “Baby blues,” which do not require medical attention, can include mood swings, sleep problems, irritability, crying, anxiety and sadness in the first couple of weeks after birth. Postpartum depression is more intense and intrusive: Women may lose interest in life, withdraw from family and friends, suffer from a loss of appetite and experience feelings of shame, guilt or inadequacy. The intensity and duration of these feelings distinguish a normal level of stress from a psychological condition. If the mother’s experience lasts more than two to three weeks, clinicians usually consider it postpartum depression. Untreated, the condition can last for months or longer, according to the Mayo Clinic. Postpartum psychosis develops in the first couple of weeks after childbirth and is identified by hallucinations, delusions, paranoia and attempts by the mother to harm herself or her baby. Doctors do not know why some women have deep sadness and anxiety in the weeks or months following birth and others do not. They suspect a combination of environmental, genetic and biological factors contribute, but every woman is at risk. After childbirth, a mother’s hormone levels — specifically estrogen and progesterone — drop sharply, according to the American College of Obstetricians and Gynecologists. This can cause mood swings, depression and fatigue. Most moms recover from this hormonal imbalance, but extreme fatigue and other lifestyle factors can contribute to a worsening of symptoms. For instance, moms who did not plan to get pregnant or who do not have a strong support system post-childbirth have a higher risk of developing postpartum depression. Postpartum psychosis is more closely linked to mental illness. A mother is more at risk of developing postpartum psychosis if she or a close family member has had bipolar disorder or schizophrenia, according to ACOG. “Data suggest that postpartum psychosis is an overt presentation of bipolar disorder that is timed to coincide with tremendous hormonal shifts after delivery,” a review of postpartum psychosis published in the Journal of Women’s Health stated. New moms should try to take care of themselves as well as their babies, ACOG says. Sleep when the baby sleeps, ask for help from family and friends, and take some time to do things outside the house. If you are feeling depressed more than a week or two after giving birth, talk to your doctor. Cognitive behavioral therapy — which focuses on changing thought patterns — and antidepressant or anti-anxiety medications are all treatment options for women with postpartum depression. Postpartum psychosis requires more immediate attention, according to the Mayo Clinic. Mothers who are suffering from hallucinations or paranoia should be brought to the hospital, where doctors will assess their mental stability. Occasionally electroconvulsive therapy, or small electrical shocks to the brain, is recommended. “The chemical changes triggered by the electrical currents can reduce the symptoms of depression, especially when other treatments have failed,” the Mayo Clinic website explains.